A lemon from Bangladesh called "Jara lebu" wich means Jara lemon. We are looking for any information and mainly it's place in the classification. Thanks for your website I have been using a lot. I wonder if you can help to identify a citrus. It is popular in Bangladesh and they call it jara lebu. As for the scientific name I haven't found much information regarding it and what I found seems to be contradictory. It is sold green and ripens to lemon yellow in storage. It has a very strong scent of maybe lemon and lime combined with cloves. One of these fruits perfume a room for days. The pulp is rather dry, and the juice is like very sour lemon. Please find some pictures attached. Looks like it might be related to kaffir lime. You might look up Citrus macroptera. A cultivar of C. macroptera var. annamensis known as 'Sat Kara', is grown primarily in the Sylhet division of northeastern Bangladesh where it is called "hatkora" or "shatkora"
The oils in the peels are very fragrant and exported for use in perfume. One more thing, I'm not sure how hardy "Jara lemon" is specifically, but kaffir lime is a lot hardier than regular limes and can grow in zone 9. To me it looks closer to citrus medica than citrus limon, or citrus latifolia etc. I put it in group citrus limonimedica. SoCal2warm, everything you said is wrong. Do you even know what macroptera means? Very winged petiole. As the pictures and movies show, the leaves are like lemon/citron. so it cannot be kaffir lime, or macroptera! Citrus Pages is a serious site. I don't look for answers like "it might be", "it seems", "is probably", "or perhaps". My question is: Is there someone who knows the classification of Jara lebu? We usually use the petiole to differentiate lemons and citrons. Lemons leaves are articulated, citrons leaves are not. On the pictures and videos it seams the leaves are not articulated but it is hard to be sure. SoCal2warm, everything you said is wrong. Really? Did you see those two links I provided? You obviously did not bother to look up the English Wikipedia entry on it. Do you even know what macroptera means? Very winged petiole. Actual morphological traits are not necessarily always connected to the name in specific instances. That could very likely explain why this variant of "C. macroptera" does not display winged petioles. according this it is CITRUS PENNIVESICULATA, but it is not likely. I would probably classify it as a hybrid between the C. medica and C. hystrix groups, and if it was in fact derived from the variety C. macroptera, likely some C. aurantium as well (but I wouldn't use that for broad categorization purposes). If you look at other pictures of "Jara lemon" fruits you can definitely see a resemblance to kaffir lime (bumpy skin and green). Many citron varieties can of course also be bumpy, but doesn't look like they are quite as bumpy as a Jara lemon. 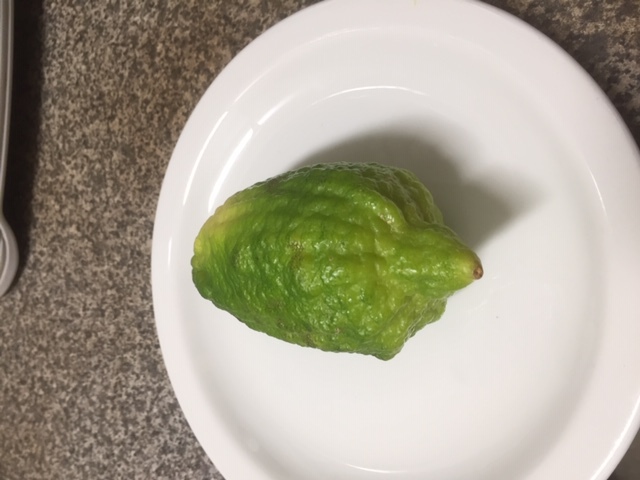 Kaffir limes are similar to Jara lemons in that inside flesh of the fruits are not valued because the flavor is not as good, and they are more valued for their rinds. 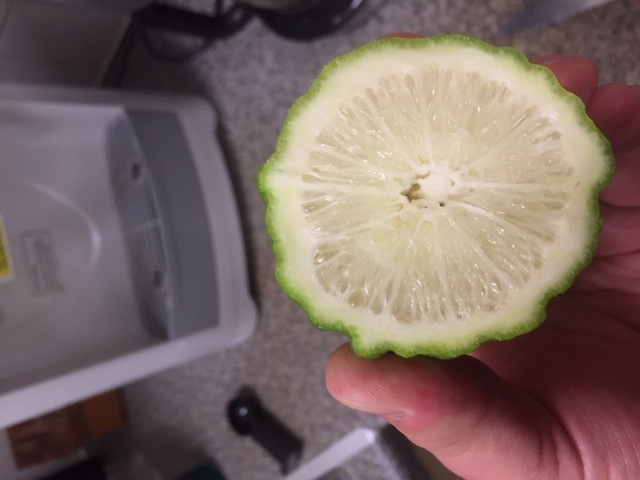 I am the one originally tried to identify this citrus. I find this research and debate very interesting, thanks everyone. I am following it but cannot add too much valuable information as I dont know much about citrus taxonomy. Just some observations regarding the names “jara lebu”, “shatkora” and its variants... it seems to me that they are broader names and often used interchangeably. We have two Bangladeshi shops selling it nearby and in one of them they call it “jara lebu” and in the other one they call it “shatkora”. At same time I found in freezer a different citrus, named shatkora too, i will attach pictures of that fruit. I understand this rounded, smooth skinned fruit is used as cooking vegetable in currys. Here are the leaves of what I believe is Citrus macroptera (dark green) and leaves of Kaffier lime.. It is not Pennivesiculata, I know this fruit. Shatkora (sat kara) is C. macroptera var. anammensis. Lebmung, your macroptera is probably a hybrid because the wings seem too small. It is C. medica (99%), to reach 100% I would like to see a petiole on a good picture. That variety of C. macroptera you have obviously has a pronounced winged petiole, although not as much as kaffir lime. If it doesn't come from a relation to kaffir lime, one wonders where it came from. Obviously Jara lemon is only one subvariety of C. macroptera, and at this point I'm thinking it may have originated from a hybrid between C. macroptera and C. medica, although that is speculative. I don't think the C. macroptera you have is Jara lemon. If it was grown from a seedling and C. macroptera is not a real species, then that may just be normal variation. I suspect C. macroptera (the general variety, not Jara lemon) may be a kaffir lime x sour orange hybrid, or something along those lines. The box in the shop says C. pennivesiculata it does contradict the other reliable looking sorce that named it C. medica earlier (https://www.banglajol.info/index.php/JBAU/article/viewFile/35078/23672). The fruits are of various sizes and shapes, however the bigest ones here are just below 15 cm length. Most of the are seedless. Some of them have aborted looking seeds and from many I had a fruit with many undeveloped and two viable looking seeds. A question, are these bruises on the fruits canker? Knowing that there are great variations in what we call C. Macroptera. > A question, are these bruises on the fruits canker? No, they just made a long travel. 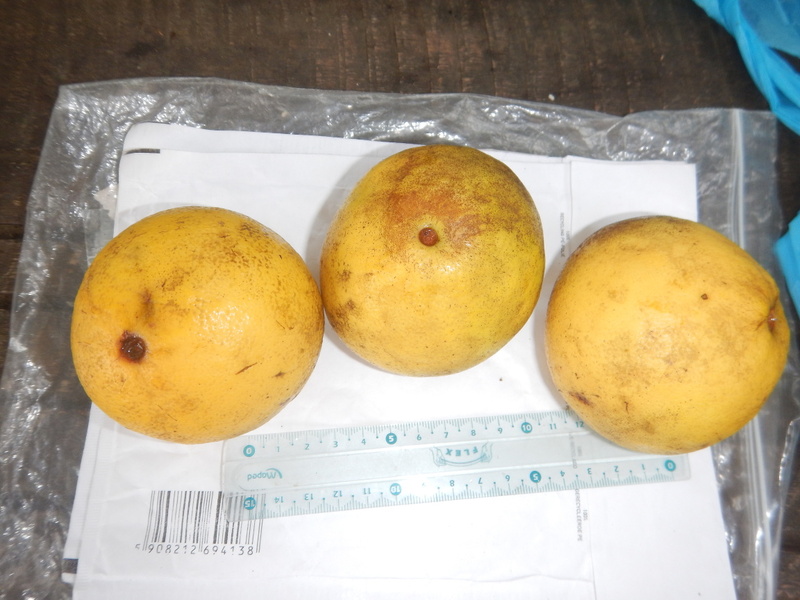 > The fruits are of various sizes and shapes, however the biggest ones here are just below 15 cm length. Yes this is something to clear. Some are much bigger. Are they from another variety? At the very beginning he says the name but I don't catch it. Market with Jara lebu and sat kora lebu. English subtitl. I wonder if this could be in any way related to Gondhoraj lebu (Aroma King lemon). After studying Citrus macroptera and other members of the subgenus Papeda and observing the hybrids between them and species of the subgenus Citrus that are common in the Philippines, Swingle became convinced that a hybrid such as Tanaka thought his Citrus polyandra to be (Citrus macroptera X C. medica) could not possibly show a wingless petiole, even though one supposed parent, the citron, has an almost completely wingless petiole, because the other supposed parent, C. macroptera, has a very long, very broadly winged petiole (certainly the largest petiole to be found in Citrus). And it is not Citrus macroptera X C. medica at all! Here is a papeda citrus - left-(I presume Macroptera used as a root stock in Thailand) and a mature kaffier lime - right. You can see the foliage difference, maybe this can help. Zara (not Zana) lebu is synonyme of Jara lebu. C. Pennivesiculata is wrong for sure and Shatkora is C. macroptera. 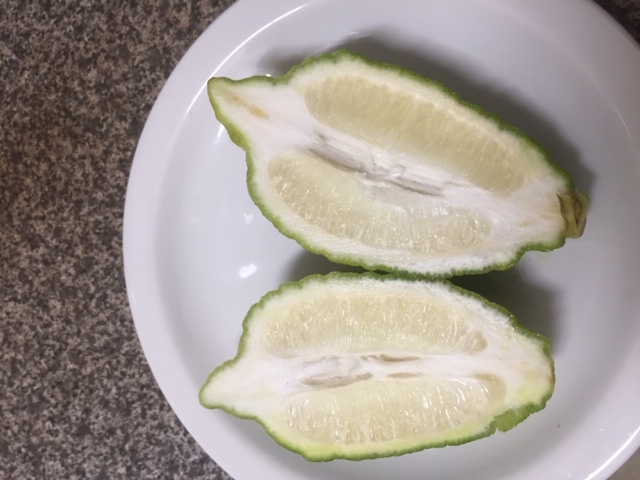 The fruit has similar shape and characteristics to the Merdeka lime; the taste of the juice is acidic has some bitterness, the fragrance fills the room as soon as the peel is scraped or cut and is definitely amazing compard to limes and lemons similarly as described at the entry for Merdeka lime. The seediness is also similar. Can Jara lebu be of hystrix and medica descent? That would explain the similarities with kaffer lime and Merdeka lime and also the varying fruit shapes (roundish and bumby, roundish and smooth, citron shaped and smoother and citron/lemon shaped amd bumby like kaffer lime)? Also the wingless petiole could come from medica? 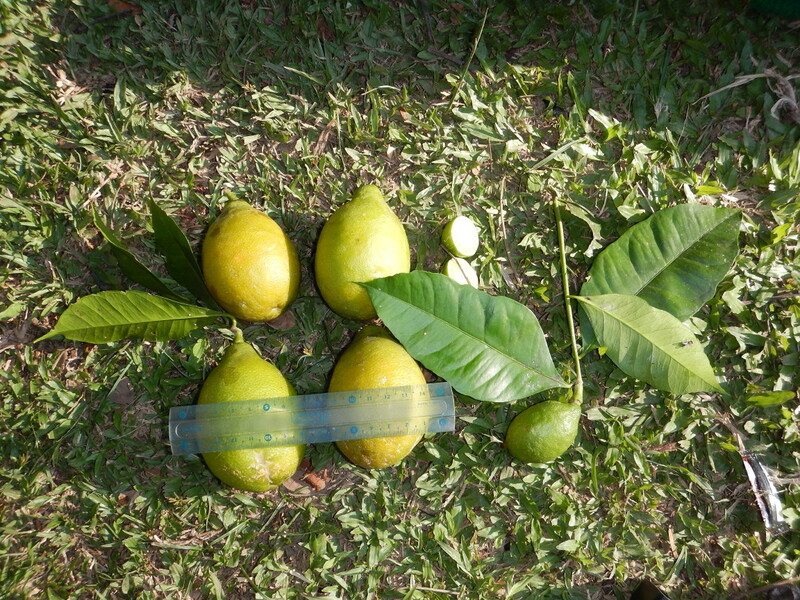 > The fruit has similar shape and characteristics to the Merdeka lime. Merdeka is a recent man made variety. 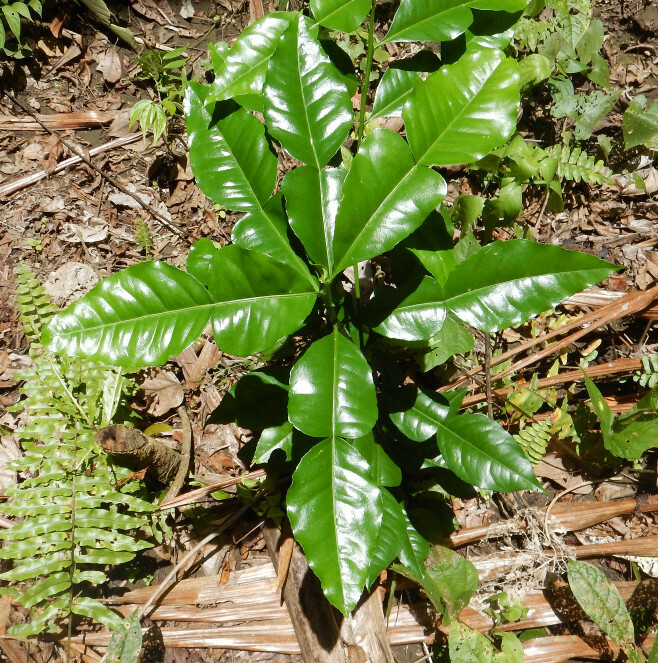 Jara lebu is a local variety that has been here (on earth) forever. They look similar but it is what we call a convergence. Like dolphin and shark that have no genetic relation. > Can Jara lebu be of hystrix and medica descent? A hybrid of Histrix, no. A hybrid of Medica it is an evidence. It can even be a pure C. Medica. We must not forget that Assam valley and Bangladesh are the place of origin of C. Medica (and many other citrus). Interesting article about citrus indica, c. latipes and mactoptera.